6029 Downfield Wood Drive, Charlotte, NC 28269 (#3378086) :: Robert Greene Real Estate, Inc. Completely renovated home in a great location! Easy access to highways, shopping, dining, and concord mills. Better than new! 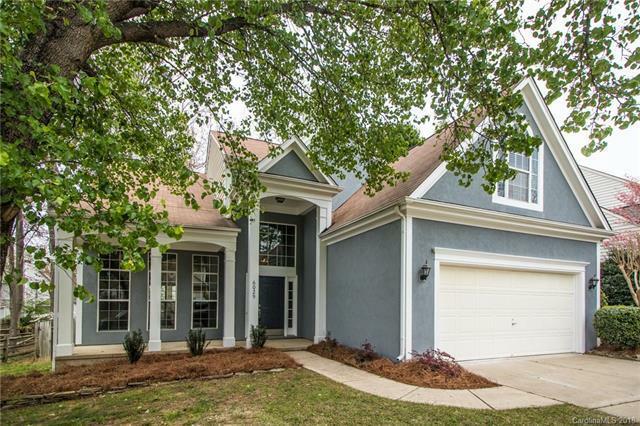 Features granite counter tops, ceramic back splash, new stainless steel appliances. Hard wood, and tile flooring. The master features a double vanity, as well as a garden tub. Granite counter tops, and upgraded fixtures. Fresh paint inside and out. New carpet, and a manicured lawn complete this transformation. This home has all the finishes of a dream home! Sold by Keller Williams Huntersville. © 2019 Cleveland County Association of Realtors, Inc. All rights reserved. IDX information is provided exclusively for consumers' personal, non-commercial use and may not be used for any purpose other than to identify prospective properties consumers may be interested in purchasing. Information is deemed reliable but is not guaranteed accurate by the MLS or Robert Greene Real Estate, Inc. Data last updated: 2019-04-21T06:38:38.76.